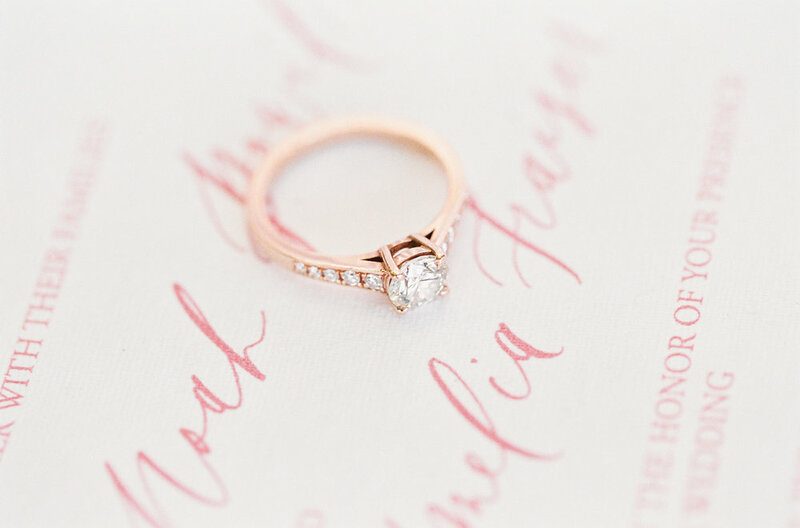 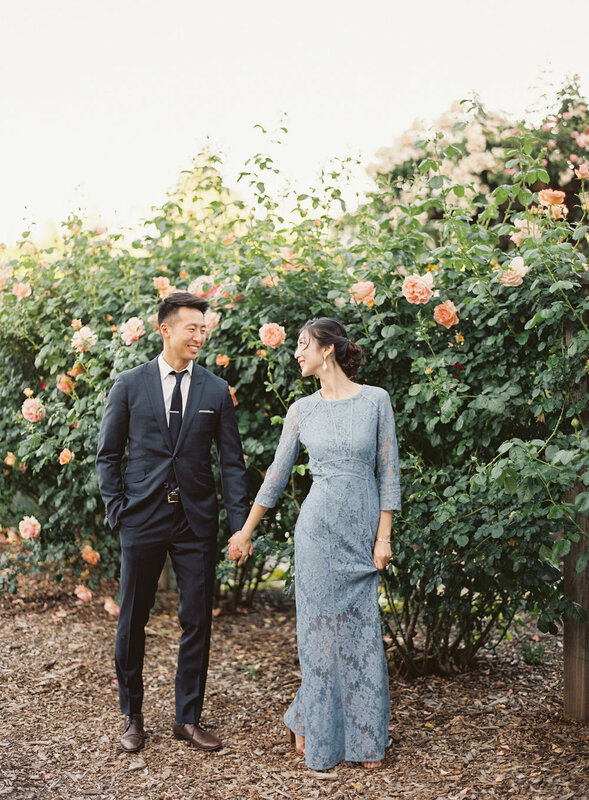 I teamed up with Jessica of Blushing Joy Events for this styled shoot. 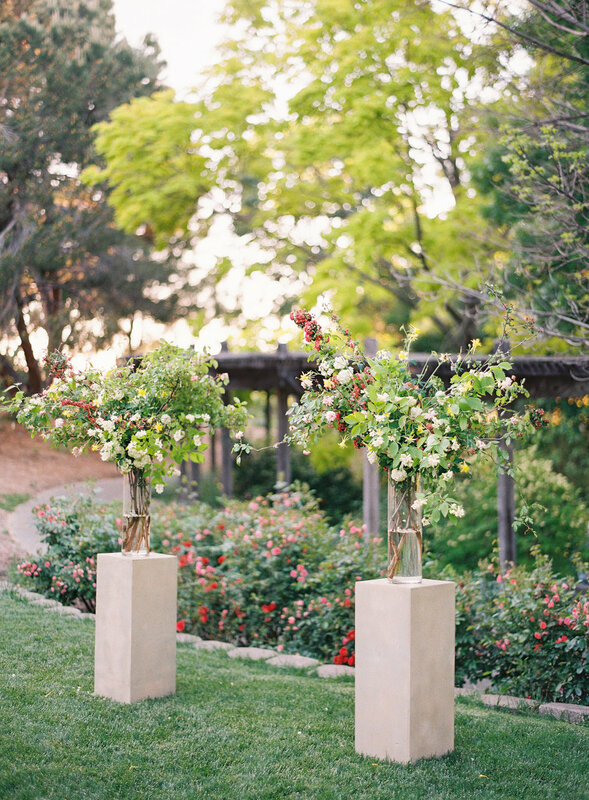 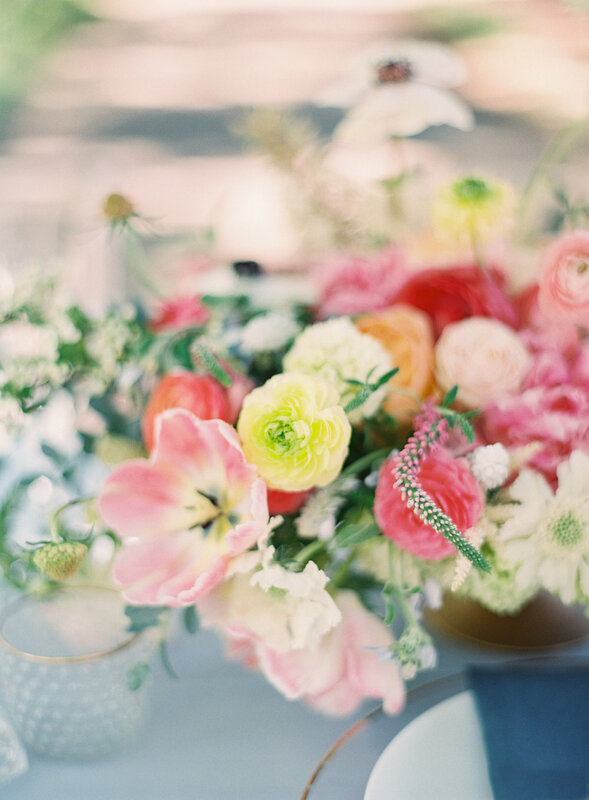 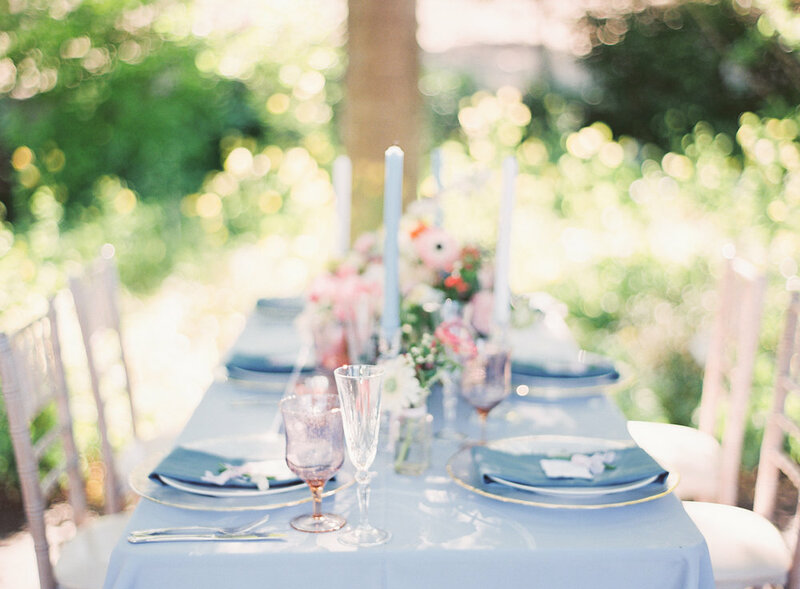 Our inspiration for this romantic, garden wedding started with Claude Monet's "Springtime" painting. 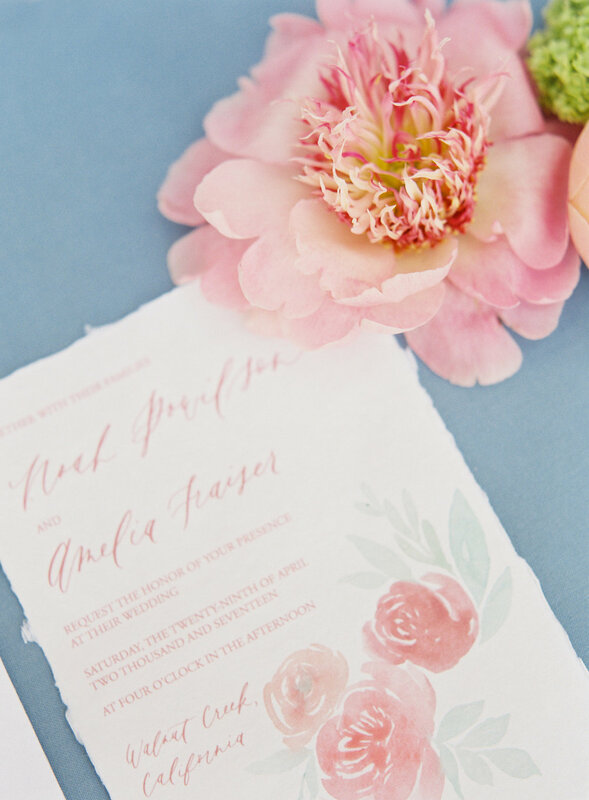 We were drawn to the romantic color palette and calm, delicate French scene of two friends enjoying the company of one another. 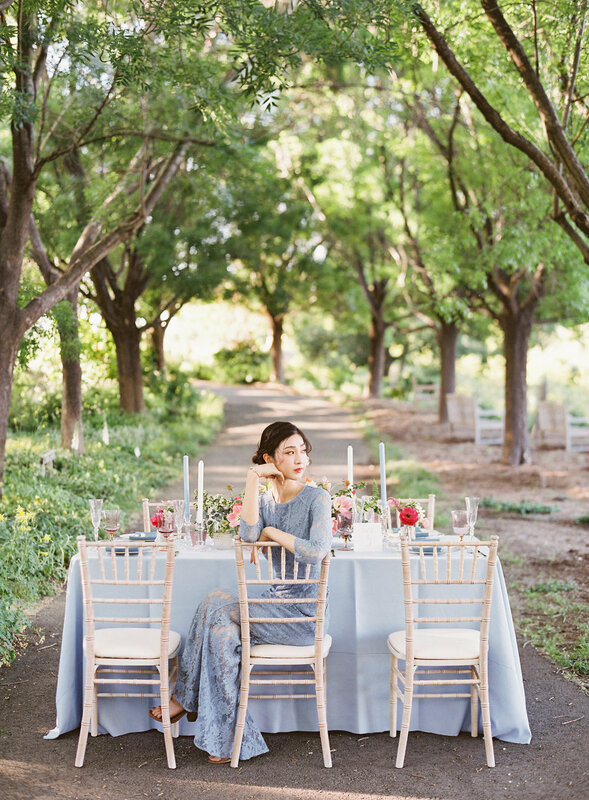 This scene later bloomed into the idea of creating a colorful, yet tender and calm garden setting featuring a bride and groom on their wedding day. 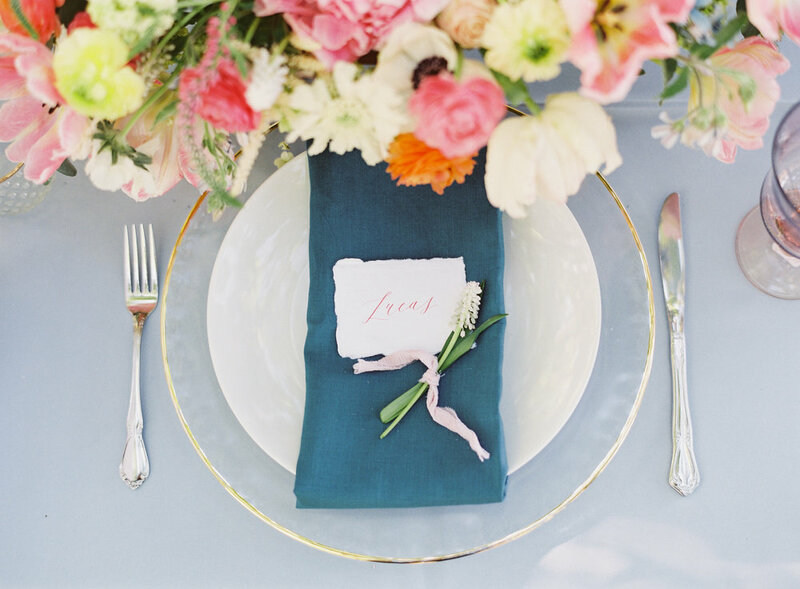 The lush trees and rows of roses in bloom at The Gardens at Heather Farm created a beautiful springtime backdrop for our intimate ceremony and reception featuring a blue Tuscany linen, gold rimmed chargers, white dinner plates, blush goblets, and Chateau flatware. 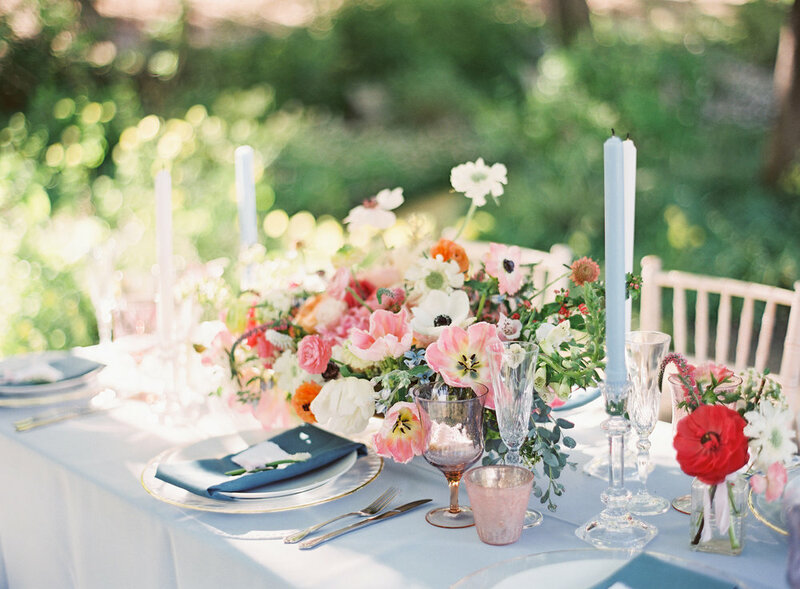 To further enhance our impressionistic garden vision, Sarah's Garden Designs beautifully adorned the table with romantic pink and peach garden roses, tulips, and peonies and contrasted them with pearly anemones and spring greenery. 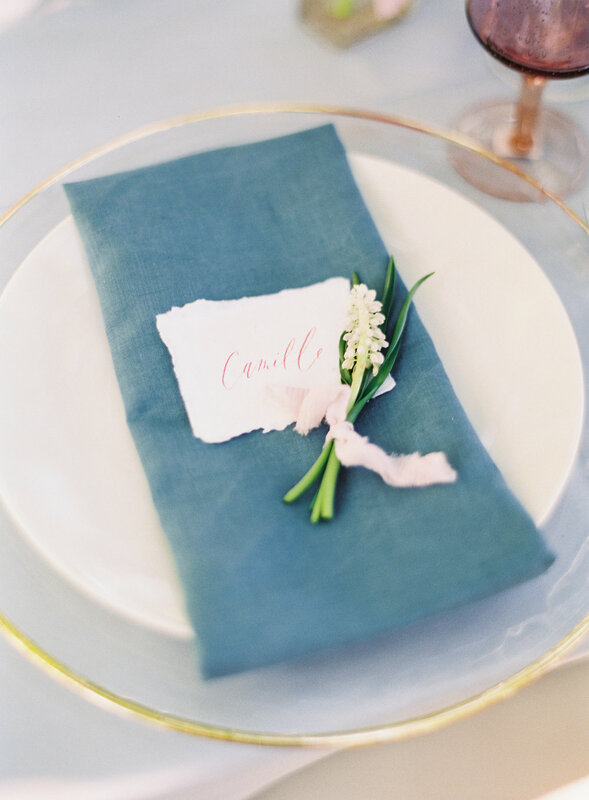 The florals were accented with name cards by Sojourner Calligraphy to welcome guests to their seats. 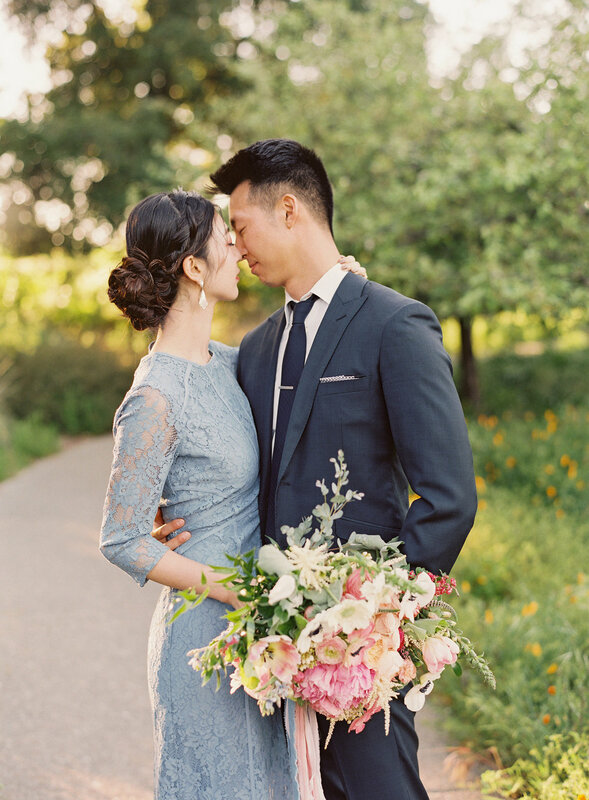 Instead of a traditional white dress for the bride, we opted for a muted dusty blue, lace gown that complimented the bright, colorful elements of the day. 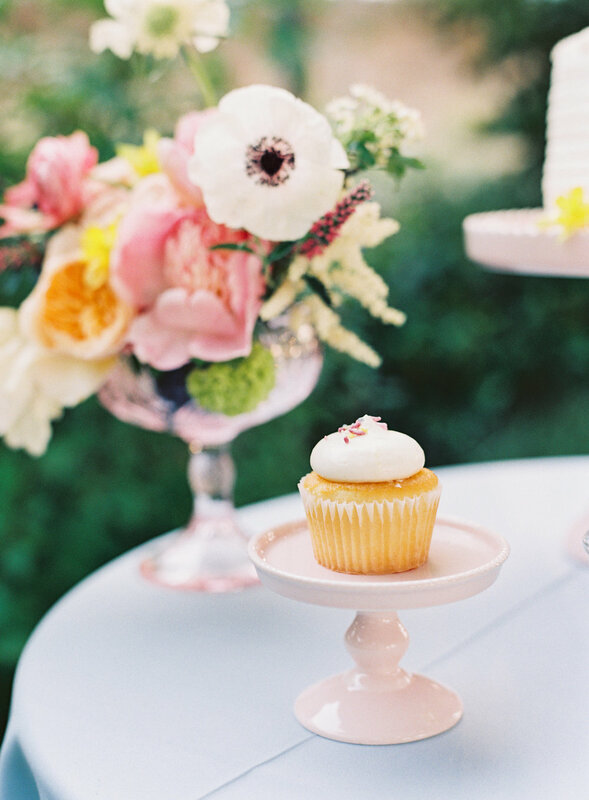 We concluded the day by photographing the bride and groom in warm, golden light that filtered through the natural setting and lingered throughout the evening - long enough to enjoy a delicate and sweet Parisian treat by Just Bakecause!